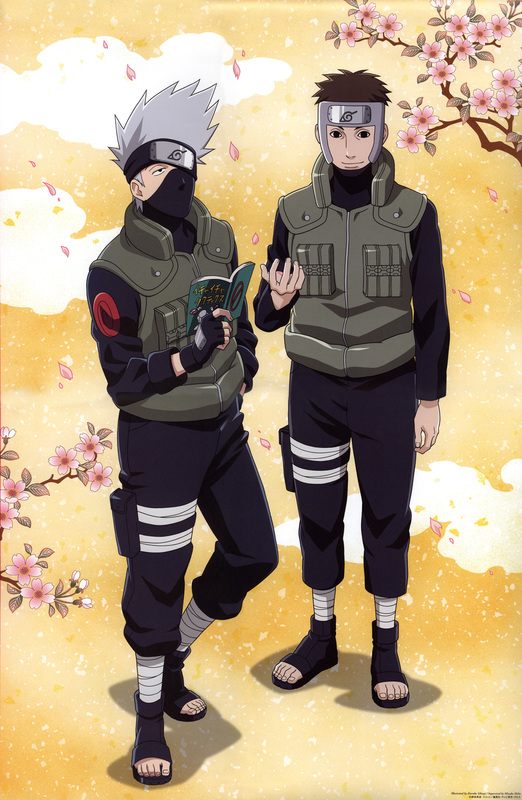 March & April page from the Naruto Shippuuden 2009 A calendar featuring Kakashi and Yamato. kakashi and Yamato are so cool! Thanks for this scan! what's with all the flowers in these scans ? couldn't they have made it a little more manly ?! Awww Kakashiii! ^.^ Yamato's cute too, though, but hey ... Kakashi! O.o ... I love this scan! Thank you for sharing. This is a nice one, thanks for sharing. I LOVE NARUTO & EVERY CHAR OF IT.